KANSAS CITY, Mo. -- To the amusement of his friends and family, many of Anthony Saluto's antics had to do with his hair. "One thing you've got to know about Anthony - he was just crazy. 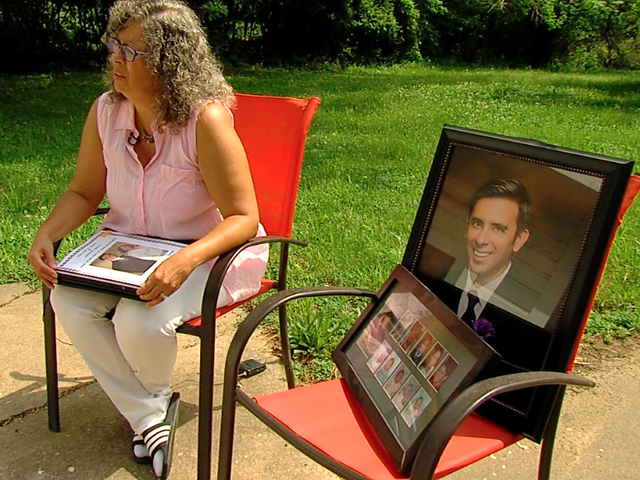 I mean, he would just do some of the craziest stuff," Lorrie Brown said while looking through a photo album of her son. She was pointing to a picture of Saluto with a mohawk, although he also dyed his hair red and blonde. That playfulness was one of the things Brown loved most about her son. She vividly remembers the conversation she had with him on April 3, 2016. "He said, 'I love you, mom.' I said, 'I love you, too'....and an hour later, he got hit," Brown recalled. A man driving under the influence veered across lanes of traffic on Independence Avenue, hitting and killing 32-year-old Saluto. "Sometimes in the wake of a tragedy, we realize that we have to do things differently," Eric Bunch, Policy Director of BikeWalkKC, said. Two years after Saluto's death, the challenges cyclists and pedestrians still face are easy to see, especially on Bunch's morning commute with his wife and kids to daycare in Westport. "It can feel a bit of a harrowing experience trying to cross 39th, unfortunately," Bunch said. Change is already in motion, in large part thanks to community advocacy. "Over the next six months, there's going to be just a deluge of new bike facilities coming in," Bunch said. The installation of protected bike lanes along Armour Blvd from Broadway to the Paseo. The Downtown Bike Loop project, which will be completed in phases. The first phase involved adding buffered bike lanes and green bike boxes along Grand Blvd from 5th Street to 20th Street. The city is starting work on the next phase this spring. A project on Paseo Boulevard from Independence Avenue south to 85th Street will add 19 miles of on-street bikeways. Public meetings have been held this spring on the design. The Charlotte/Holmes Bikeway will provide bike access from E 25th Street to E 36th Street on Charlotte and Holmes. Design meetings have been held, but the exact configuration is still being decided. The Lexington/Gladstone Bikeway will extend from Indian Mound Park west to Independence Avenue and Maple Boulevard in the historic Northeast. Designs are being finalized. 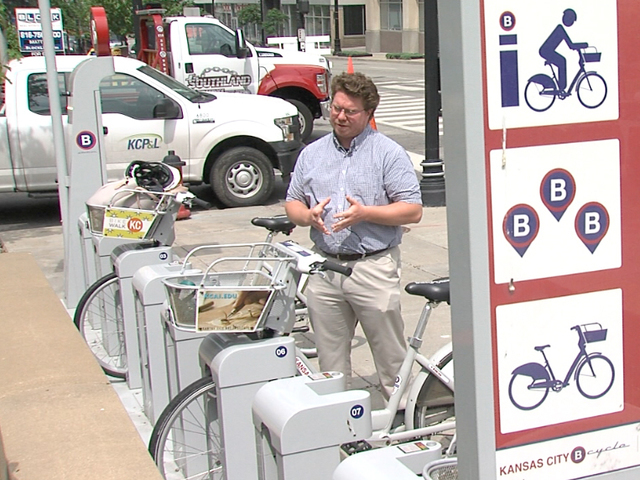 Planner Joe Blankenship is leading the charge on a new bike plan for Kansas City. "I mean, I think some of the changes we're hoping for long-term are some of the things we're seeing get started underway right now," he said. The vision includes building a connected network of bike lanes and adding more protected ones. The changes are aimed at making streets safer for everyone. "If it's a safe street to bike on and it's a low-stress facility to bike on, drivers will feel less stressed too," he explained. A draft of the updated Bike KC Plan will be released in the next couple months.